Mobile Broadband Networks are undergoing a continuous transformation in terms of technology and architecture. As network capacity demand from 4G smartphones and tablets skyrockets, the radio access network is expected to be structured in multiple layers, with a small-cell layer to be developed at street level, eventually leading to very high network density. Small-cell backhaul will consist of a large number of short (sub-km) links with stringent economics and operational requirements arising from the deployment at non-conventional (non-telco) environment. Consequently, an all-new approach to the wireless backhaul of small cells is required in order to enable cost-efficient and manageable networks. StreetNode™ V60-PTP is a truly groundbreaking series of auto-aligning Ethernet radio products, which is specifically designed to meet the multiple challenges of small-cell backhaul. StreetNode™ 6250 PTP, member of the StreetNode™ V60-PTP series of V-Band products, is the millimeter-Wave version of the StreetNode platform that has already been introduced by Intracom Telecom. It operates in the 57 - 64 GHz area of the spectrum and with 250 MHz channelization it can offer an industry-leading capacity of up to 1.65 Gbit/s full duplex for 128-QAM modulation. Operation in V-Band eliminates the licensing burden in most countries, thus boosting the economic viability of the small-cell business model. StreetNode™ V60-PTP series, inherits all the innovations, features and functionality of its sibling microwave version, while incorporating further enhancements, such as Automatic Interference Scanning. Its compact form factor includes an integrated auto-aligning antenna, while its special aesthetics allow blending nicely in the city environment. With flexible powering options (direct AC, direct DC and PoE), it ideally supports installations onto street-level structures. The unique mix of alignment-automation and "zero-touch" capabilities, through Bluetooth communication with a standard Android tablet, reduces rollout time and cost and safeguards against deployment errors. With throughputs exceeding 1 Gbit/s and with full QoS and Ethernet packet synchronization functionality, StreetNode™ 6250 PTP satisfies even the most demanding 4G/4G+ backhaul requirements. Furthermore, it can be used in a multitude of other applications requiring Ethernet connectivity, such as building connectivity in campuses, fixed line access, security camera interconnection and ad hoc networks. StreetNode™ 6250 PTP's innovative integrated antenna, with auto-alignment capability in the azimuth and elevation planes, enables fast, cost-effective and error-free link deployment by non-specialized technicians. Auto-alignment can be initiated wirelessly over a Bluetooth connection. 'Zero-touch' configuration and service provisioning can also be carried out through the Bluetooth connection using a standard Android tablet. An NMS proxy application installed in the tablet allows connection to the NMS and the network element simultaneously. Based on location information, the operator downloads the configuration information and parameter files from the NMS server over a 3G / 4G-connectivity based VPN. The above automations allow for connection to the network in minutes while minimizing error potential. Furthermore, they simplify and facilitate the overall deployment and management of large numbers of small-cell backhaul links expected in the future. StreetNode™ 6250 PTP's 1.65 Gbit/s full duplex capacity on a single radio link is achieved by combining high spectral efficiency modulation format of 128-QAM with bandwidth acceleration in a 250 MHz-wide channel. The Link adaptivity feature and the robust Forward Error Correction coding scheme enable high link robustness and allow the deployment of high-availability links. Intelligent combination of state-of-the-art LDPC and Reed-Solomon FEC schemes maximizes sensitivity at a minimum cost to transport efficiency. Furthermore, the fast 6-level Hitless Adaptive Modulation & Coding can provide a 22 dB system gain improvement to enable continuous link operation under adverse precipitation conditions. Even at the lowest and most robust modulation format (QPSK), link capacity exceeds 300 Mbit/s (full duplex). StreetNode™ 6250 PTP incorporates a fully-featured, 3 GbE-port Provider Bridge (IEEE 802.1ad), which offers flexibility in delivering MEF standards-based Carrier Ethernet services - ranging from EPL and EVPL to ELAN - over complex network topologies, such as chain or tree, deployed without the need for external switching devices. This allows for faster and easier deployments that are more manageable and cost-efficient. Support of service OAM, based on the IEEE 802.1ag and Y.1731 standards, and Link OAM, based on IEEE 802.1ah standard, means that StreetNode™ 6250 PTP is capable to offer Carrier-grade Ethernet OAM features, enabling operators to provide manageable L2 end-to-end services to their customers. StreetNode™ 6250 PTP can be offered as a stand-alone extremely-lightweight, zero-footprint and all-outdoor system, with maximum powering flexibility (direct AC, direct DC or PoE). Direct AC power feed, without external devices, enables more cost effective, quicker and more reliable deployments even at street level environments. Links are easily deployed with StreetNode™ 6250 PTP's small form factor outdoor units (298 mm x 151 mm x 196 mm), which weigh no more than 3 kg (including the integrated, auto-aligning antenna), thus minimizing the size and cost requirements for the supporting infrastructure. These cylindrically-shaped units come in more than one colors to allow easier visual blending with street-level structures. Automatic Frequency Scanning could be applied in all cases or only when the initially-selected channel does not meet the expected SINR. This procedure follows the alignment phase and the SINR measurement capability of StreetNode™ 6250 PTP is exploited. Link units are successively tuned (through alternative frequency channels) and SINR values for both terminals are measured for each channel. The SINR results are communicated to the tablet application and/or NMS. The best channel can then be selected. StreetNode™ 6250 PTP offers per-service QoS treatment of the transported traffic based on L1, L2 and L3 classifiers. Strict priority(SP), Weighted Round Robin (WRR), Hybrid SP+WRR, and WFQ scheduling schemes are cleverly applied to eight CoS / queues to enable the most suitable prioritization treatment for management and control plane traffic, while supporting revenue generating service differentiation and assured critical service delivery for user plane traffic. Being an advanced packet radio, which is designed for mobile network backhaul applications, StreetNode™ 6250 PTP supports a full range a packet synchronization methods. Its Gigabit Ethernet interfaces support standards-based Synchronous Ethernet (SyncE) frequency synchronization distribution, as well as, the associated ESMC signaling channel. Furthermore, Precision Timing Protocol (IEEE 1588v2) Transparent Clock functionality are supported for the delivery of frequency and phase synchronization deemed necessary in locations where GPS/GLONASS signals are hard to reach (such as covered / street-level deployments). With StreetNode™ 6250 PTP, temporary networks can be quickly setup at refugee camps, emergency sites and sporting event locations. 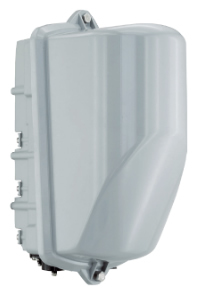 StreetNode™ 6250 PTP can be used to interconnect public buildings in municipal areas and cities. City halls, police headquarters, hospitals, schools and other buildings can converge on the same high-speed network infrastructure to enhance governance efficacy and efficiency. 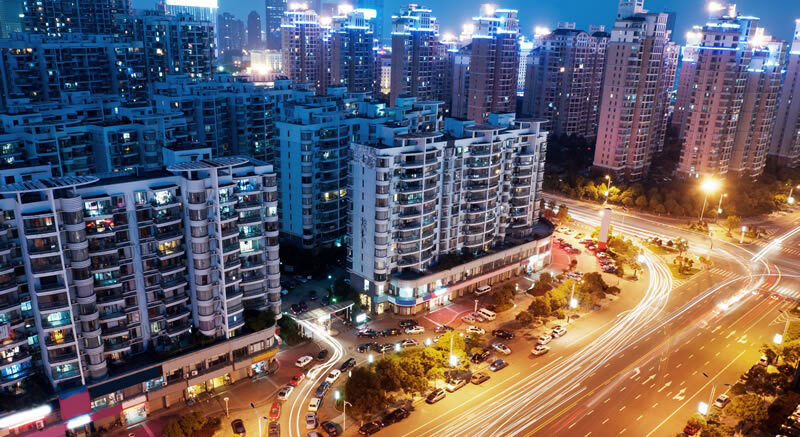 Large businesses with multi-building plants, storage depots or office facilities expanding in large areas, can deploy StreetNode™ 6250 PTP to enable Gigabit LAN connectivity for enhancing their transaction automation, control, productivity and security.